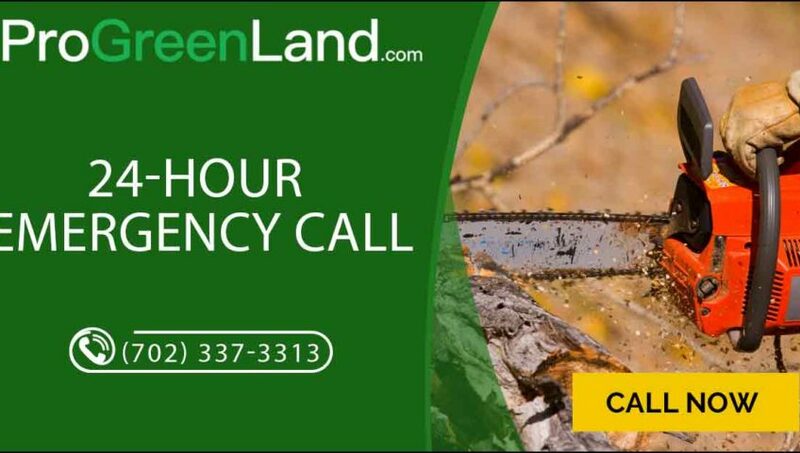 Pro Green Land are tree service and landscaping experts, and as the changeable fall weather approaches Las Vegas, they have extended their service to include 24-hour emergency call outs. Las Vegas, United States – Las Vegas is one of the hottest places in the United States, and is subject to some of its most extreme weather, including high speed winds, torrential downpours, hail and earthquakes. As such, the homes and gardens of the people living there are under constant threat of danger. Pro Green Land is a Las Vegas company (www.progreenland.com/las-vegas/) offering a huge range of landscaping and tree services, including tree cutting and removal, irrigation and drainage, planting, garden and lawn care. They have now launched a 24-hour emergency call out service to help those whose gardens may be affected by tumultuous fall weather. A fallen tree in the garden can be a serious danger to inhabitants of the surrounding homes, and flooding can cause huge problems for the structural integrity of a home. As such, their tree removal and drainage services can be invaluable after storms or torrential downpours. What’s more, their multi-award winning landscaping services (progreenland.com) offer the very best of all worlds to homeowners and those tending commercial spaces, taking into account the micro-climate and topography of the space to create something both beautiful and sheltered from the worst excesses of the elements. About Pro Green Land: Pro Green Land is an affordable full-service landscaping and tree service company. They provide exceptional landscaping and tree removal services for a vast range of residential and commercial properties including apartment complexes, homeowner associations, city parks, shopping malls, business complexes and more. Their highly skilled and experienced team of tree service and landscaping professionals can offer same day services. We provide exceptional landscaping and tree removal services to a wide range of commercial and residential properties, including large corporate environments, city parks, shopping malls and appartments.